Baskets by JaVon is a local gift basket maker. Specializing in stress-free gift giving, with a warm personal touch. Baskets by Javon offers gift baskets for all and any occasion, and even "non" occasions! and just because you care! Baskets by JaVon helps busy professionals that need to show their appreciation to their customers or employees and also for those family occasions that you don't have time to shop for. 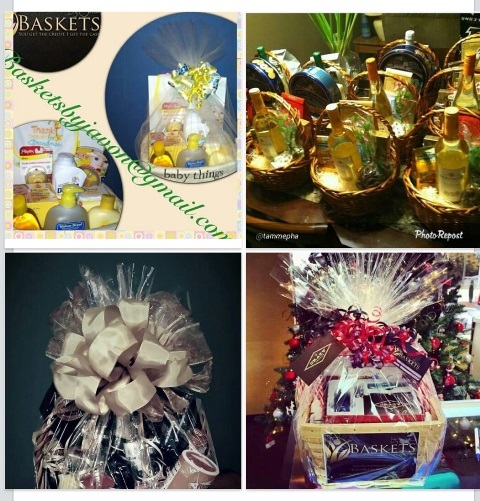 "We at Baskets by JaVon want to help everyone rekindle the classic art of gift giving; all while the process being stress free!" Pick-up available or Delivery (for a cash fee). We can also ship. Call for Shipping Charges, to be paid in cash, check or credit card. Additional customization or adding special items available for additional charge.